I love to cook at home and I am often dissatisfied with the oils and fats that I have on hand to cook with. There are some cooking oils or fats that I won’t ever buy and then there are others that I have in the house and like, but that I know deteriorate if I cook them at too high a heat (which is bad for my family’s health), so I feel a bit stuck for choice. It’s got me thinking that it would be great for Derek and me to make grass fed tallow from the suet fat from our animals because I know it’s a good choice for health. At least I would then have it at hand for my cooking, and maybe you (our customers and followers) would be keen to have some too. Now some of you may be asking what is tallow, what on earth is suet and why is it a great cooking choice? 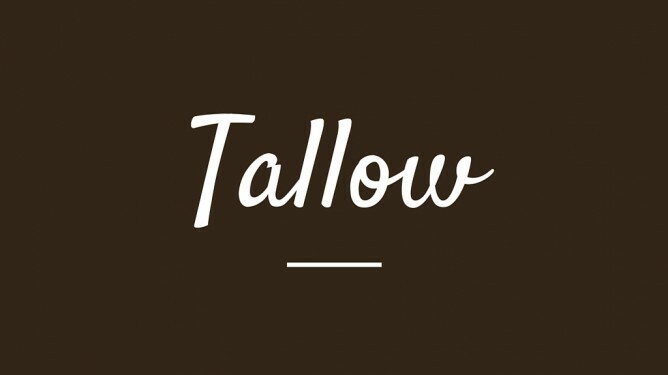 What are Tallow & Suet? Tallow is the finished product of rendered beef (or lamb) fat. 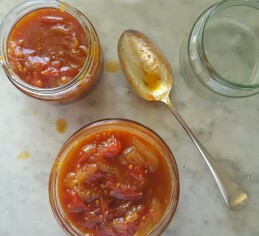 It is a solid at room temperature and will keep for months when in a sealed container. Suet is the type of fat that tallow is made from – it comes from around the kidneys and loins of the animal, and can be quite hard and dry. Rendering involves melting the fat down slowly and clarifying it – removing any impurities, such as bits of meat attached to the fat and also any moisture. Removing the moisture and impurities will ensure a longer shelf life of the tallow. You may have heard of lard – this is the equivalent product to tallow, but is produced from a pig. But why would I want to choose tallow to cook with? There are 4 things that come to my mind when I consider if a fat or oil is healthy or not and whether I should cook with it? I want to know if an oil is polyunsaturated, because if it is, I don’t want to choose it. Saturated fats like tallow and butter are protective of our bodies – they help us to minimise any stress in the body. Polyunsaturated oils however, can amplify the stress response and have been linked to cancer, heart disease, premature aging and more. I have written more detail of this elsewhere. (Scroll down to ‘Choose Saturated Fat’). Soy oil, cotton seed oil and sunflower oil are examples of polyunsaturated oils. Increasingly, more people are waking up, doing their own research and making conscious decisions for their health by choosing saturated fats. The Omega-6:Omega-3 ratio of a fat or oil is important to me because an undesirable ratio can be detrimental to health. Sally Fallon (who’s cookbook and associated health writings I love to read) refers to research that has shown excess Omega-6 intake in the diet results in an increase in tendency to form blood clots, inflammation, high blood pressure, irritation of the digestive tract, depressed immunity, cancer and weight gain. My understanding is that it is the ratio of the two that is important more than the Omega-6’s being bad per se. The challenge with average modern day diets is that they contain a high proportion of Omega-6’s both in many of the oils available for us to cook with and especially in processed foods. I’m referring to many of the plant based oils like sunflower, canola, cottonseed, peanut and soybean oil -predominantly the polyunsaturated oils. These are the cheapest of oils and thus the ones of choice in most processed foods. Compounding the challenge to intake an appropriate balance of fats in today’s society is the influence of some modern farming practices on the health of the finished product. Research shows that not allowing animals access to grass pastures, but rather grain feeding alters the Omega-6 to Omega-3 ratio of the animal products to an undesirable ratio. Specifically, 16:1 in grain fed tallow versus 1.4:1 in grass fed tallow, in this particular research. Note that the ratio of Omega-6 fatty acids is not quite as simple as I indicate above. Linoleic acid and arachidonic acid are two Omega-6 fatty acids which are believed to increase inflammation not considered healthy when consumed in proportionately high levels. There is however an Omega-6 fatty acid that is beneficial and actually anti-inflammatory. This is GLA or Gamma Linolenic Acid, but it is found in obscure oils such as evening primrose oil or black current seed oil, so not really relevant in this discussion. I also like to consider if the fat or oil is in its naturally occurring state. Trans fatty acids are reported to be especially harmful to health. These fats come from hydrogenated vegetable oils via a chemical process, to form artificial trans fatty acids. The hydrogenation means that what were liquid vegetable oils (like soy, canola, sunflower) become solid/semi-solid at room temperature. Margarine is one such example. These are the fats that have had the worst press regarding their impacts on health. They have been linked to heart problems & cancer amongst other things, and you can easily search online to learn more about trans fatty acids. Smoke point is the temperature at which, you guessed it, the fat or oil starts to smoke in the pan. This is the result of the fat or oil breaking down. Vegetable oils will all oxidise naturally over time with exposure to oxygen and heat, sending them rancid and producing free radicals that cause destruction in the body. This generally happens slowly – especially when stored correctly, but when these oils are heated (as in cooking) the oxidation reaction is sped up. When oils are cooked above their smoke point, free radicals are formed, so it’s important to use an oil or fat with a high smoke point when cooking at high temperatures. So, What Should I Choose to Cook With? Some of the readily available vegetable oils have relatively high smoke points (which is good), but I don’t want to choose these for other reasons that I have mentioned above like the balance of Omega fatty acids. There is also a higher chance of some of these being genetically modified (which I don’t want). Olive oil is a healthy choice and one I have that at hand because we have olive trees on the farm, but this has quite a low smoke point, so is best only heated to a low temperature or enjoyed raw – on salads or breads. I love to use coconut oil and butter in my cooking, but they do not have a high enough smoke point for high temperature cooking and they’re not always the right flavour in some Asian or Italian dishes. In terms of the other most common oils and fats to choose from, it leaves me with animal fats – lard and tallow from chemical free, grass fed animals. They have a desirable fat profile, are a saturated fats, can be heated to high temperatures (tallow actually has a higher smoking point than lard), keep well and taste great. Yes, just like butter and coconut oil, tallow is a saturated fat and that’s actually a good thing! I have written about this before. 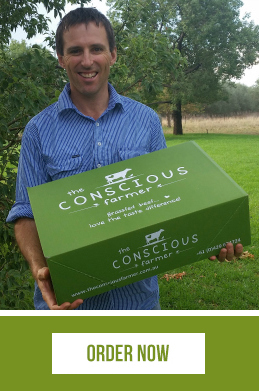 Would You Like Conscious Farmer Tallow? As I indicated at the start – I’d love to have tallow on hand to cook with because I know how versatile and healthy it is and I’m currently investigating where we could have some made. I’m also keen to hear from you, our customers and followers if this is something you would be interested in purchasing? Our butcher Joe, tells me it makes the BEST ‘safely’ fried chips. 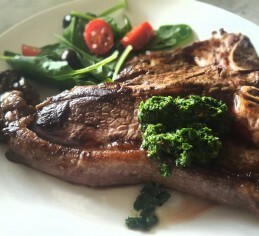 (This is also why we love our butcher – he ‘gets’ what we’re doing – he owns the health aspect). I also hear tallow is fantastic in pastry. I’m looking forward to using it for a pie/quiche pastry. Apparently it leaves a beautiful crispy crust that is not too crumbly (which can happen with 100% butter). We can make great choices like eating grass fed meats and organic vegetables, but if we then cook these in an undesirable fat or oil – then we’re undoing some of the benefits of our great food buying or growing choices. If you have questions about other less common oils, one of the sources I trust the most for information about health is the Weston Price Institute. If you have questions about lesser known oils like grape seed oil, avocado etc, I suggest seeing these frequently asked questions about oils and fats on their website. Please, let us know what you think about the Tallow. We could include it in our hampers, have it available at markets or send out separately. p.s. 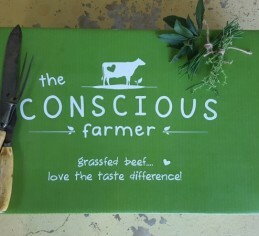 If you’d like to have one of our beef hampers delivered to you – see the choices available here. Fallon, S. 2001. Nourishing Traditions. New Trends Publishing. Washington.